1980-1983 “Master in Law” (M.A.) Shahid Beheshti University (The National University of Iran), Private Law (Business and Banking Law). Public and Private International Law. 1996--present Appointed as arbitrator in several international and domestic arbitrations including ICC arbitration. 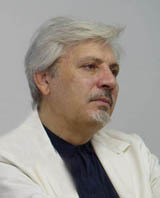 1995 - Present Legal Advisor to the Iranian Chamber of Commerce. 1999 - Present Legal Advisor to Bank Melli Iran. 1996 - Present Legal Advisor to Bank Mellat. 2002 - Present Legal Advisor to Bank Sepah. 2002 – Present Legal Advisor to Bank Egtesad Novin. 1997 – 2006 Arbitrator to the Arbitral Tribunal of the Ex- Stock Exchange of Tehran. 1996 - Present Member of Iranian Arbitration Association. 1989-(December) Panelist, ICC Seminar on “Demand Guarantees” December 7, 1988 Paris. 1984 – 1990 Editor-in-chief, Law Journal (the First Iranian Journal on International Law), and again as of April 2005 to 2006. 1989-present Invited professor of international law at Shaid Behshti University and Allameh Tabatabaie University, teaching international law and arbitration.